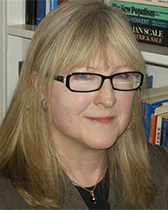 Mary G Dietz joined the faculty of Northwestern in 2007, from the University of Minnesota, Twin Cities, where she was named Scholar of the College of Liberal Arts and awarded the CLA Distinguished Teacher Award. At NU she holds a joint appointment in Political Science and the Gender and Sexuality Studies Program and serves on the Advisory Board of GSS and the Council of the Kaplan Institute for the Humanities. From 2005-12 she was Editor of the flagship journal Political Theory: An International Journal of Political Philosophy from 2005-12. Academic fields of concentration are Political Theory (history of Western political thought; democratic theory; contemporary Anglo-American and Continental theory) and Feminist Theory. Current research interests include Aristotle, politics, and problems of empire; the politics of sexing the subject gendered-male in Hobbes’s Leviathan; and continuing studies of the political theory of Hannah Arendt.